With superior consumer focus, Zespri aims to provide kiwi fruit all year round by forging partnerships around the world with experienced growers, then combining this united grower-owned platform with best practice in all of their processes. A commitment to go ‘from good to great’, and capitalize on Zespri’s market position to deliver even better products, more efficiently, to even more satisfied customers. An overhaul of global supply chain management processes and systems. A large organizational development project seeking to enhance cohesion and collaboration throughout the Zespri operation. 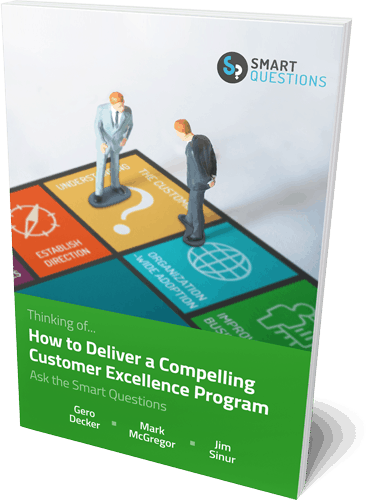 A detailed review of a particular process management, analysis, and improvement methodology convinced the process analysis team and, and most importantly, Zespri’s CEO, that a BPM roadmap would greatly assist the ‘good to great’ transition. Process-based management showed a way to convert strategy into action, and to continuously monitor performance in the achievement of Zespri’s ambitions. 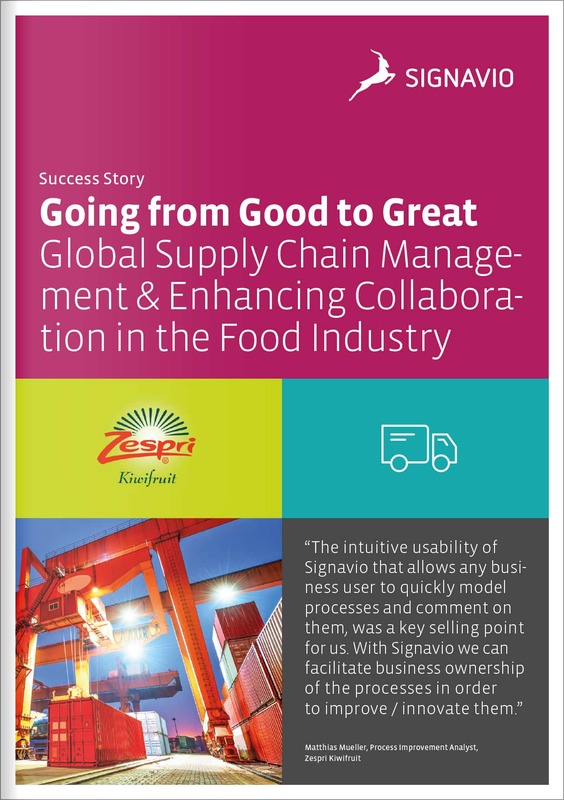 Like many other customers, Zespri chose Signavio to support their BPM journey because of the powerful combination Signavio Business Transformation Suite offers: Comprehensive process modeling and analysis, as well as extensive and intuitive collaborative functions. However, professional process modeling and analysis is only the beginning for Zespri. As part of their mission to become a process-centric organization, the Zespri Office of BPM has been founded to monitor the KPIs of their business transformation project and evaluate its success. Reports generated through Signavio Process Manager assist Zespri in continuously analyzing their processes, meaning they can work to improve process performance and minimize risks in real time. With Signavio, Zespri’s journey has moved from creation of a business process architecture and related measures and governance, to the development of an effective process-based management system embedded in the new Zespri Way. Zespri International Limited is the world’s largest marketer of kiwifruit, selling into more than countries and managing 30% of global volume. In 2017/18 Zespri sold 138.6 million trays of premium-quality Zespri Kiwifruit. Zespri is headquartered in Mount Maunganui, New Zealand, in the heart of the largest kiwifruit region, the Bay of Plenty, and has an additional 20 offices around the world.